What ever you do, do not order any one of these. A great color can turn even the ugliest car into a gem. Unfortunately, a terrible color can do just the opposite. Picking the wrong type of paint is the quickest way to turn an awesome car into an awful one. Yes, beauty is in the eye of the beholder but some car colors are just objectionably awful. Don't believe us? Well you might after checking out these five paint colors we picked out. These are the five worst colors on offer today. From metallic brown to plasma purple, all your (least) favorite shades are sure to be here. 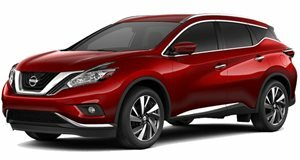 First up is the Nissan Murano. This car's looks are very polarizing to begin with. 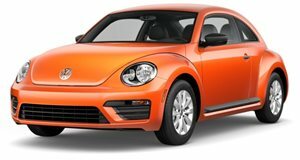 If you weren't a fan of this crossover's styling, then Pacific Sunset Orange is not going to make you like it anymore. Now to be fair we think that orange can look cool. We had nothing but nice things to say about Audi's , if you remember. But on the Murano it just doesn't go with those weird blacked-out pillars. Next up we have Wilderness Green Metallic on the Subaru Outback. 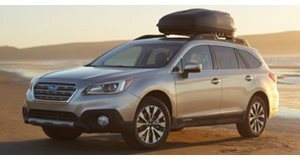 We get that the Subaru Outback is designed to appeal to the "go anywhere" type of person. These are the types of people who enjoy camping, canoeing, and hiking. As such, it makes sense that these people may like a green car. After all, dark green is the sort of color that Willys Jeep, so obviously green=tough. Unfortunately, Wilderness Green Metallic does little to remind us of Willys Jeeps. Subaru's color reminds us more of something you would have a doctor look at if it came out of you. We get that green is supposed to be outdoorsy, but this color just doesn't cut it. The next color on our list comes from BMW. Despite making some of the best colors ever, Seca Blue, BMW has its fair share of missteps. Today BMW sells a color called Jatoba Brown Metallic. We aren't really sure what the appeal of a brown car is. Perhaps you simply love chocolate and want everyone to know it? This color is available on a range of BMWs for a cost of $550. 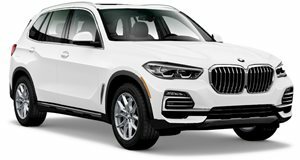 When you can order your BMW in a normal silver or black, we aren't sure what would persuade you to go with brown. We guess it might be fancy to some people? We just don't think brown fits a BMW. For our fourth color we go right back to another German automaker, Volkswagen, and its Moonrock Silver Metallic. Despite, having a pretty cool name, this color is completely uninspired. Moonrock Silver basically amounts to beige, and manages to make the VW Jetta look even more boring. 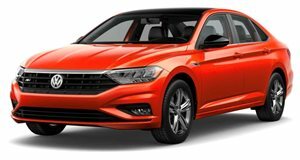 Buying a Jetta with steel wheels (as pictured) and Moonrock Silver tells the world that if you do have any kind of personality, you don't feel like showing it with your car. The Jetta isn't really an unattractive car either. In fact, the GLI version is actually quite good looking. However, when the car is painted in this color, it just looks slightly depressed. With all the amazing colors available today, buying a beige car just seems old fashioned. If you were hoping that we saved the best for last, then don't worry! Easily the worst car on this list, and obviously the worst color that you can buy today is a Plasma Purple Mitsubishi Mirage. We quite like a purple car, such as the Dodge Challenger and Nissan GT-R. But Mitsubishi's idea of purple is not quite so nice. 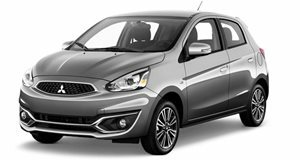 The Mirage is one of the cheapest cars you can buy at just $13,830. It also gets 44 mpg! Although with a 74-horsepower (not "174") three-cylinder engine, it is incredibly slow. Throw in the awful Plasma Purple paint, and the result may be the worst car that is currently on sale in the US.